As per the announcement made by the Andhra Pradesh’s HRD Minister Ganta Srinivasa Rao on October 5, the Andhra Pradesh District Selection Committee (AP DSC) is expected to release the notification for teacher recruitment soon. 9,275 teachers posts will be filled through the examination. The notification was earlier scheduled to release in July, however, was postponed due to ‘certain reasons’. 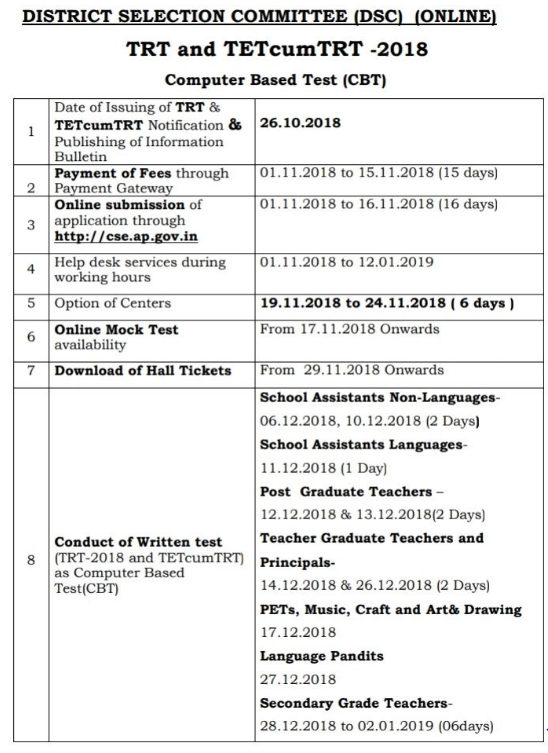 As per the Indian Express, the last date for submission of application form will be November 3 while the exam will be held from November 30 to December 14, 2018. The answer keys will release by December 16 and the result of the APDSC exam is likely to release by January 3, 2019. Total number of vacancies to be filled by AP DSC is 7,675 posts. We are getting help from you. Thanks once again. Uttar Pradesh State Road Transport Corporation (UPSRTC) has invited online applications for recruitment on Samvida Conductor posts. A total of 342 vacant posts will be filled through the recruitment process. 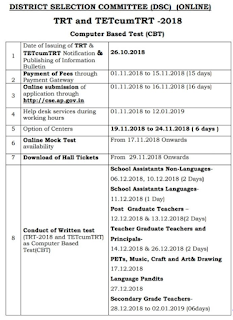 The candidates who are interested to apply for the recruitment drive should visit the official website to download the official notification and check all important details including Important dates, Eligibility Criteria, Application Fee, Selection process etc. Candidates should visit the official website to download the official notification and then follow the on-screen instructions. Pay the registration fee online to complete the recruitment process.